How many hard drives does your system have? One? Three? Ten? Regardless of how many drives you have, they all need one thing to keep track of what’s on the drive: a partition table. The partition table describes the partitions (sections) of the drive and helps your system find the files you need. Your Windows system uses a master boot record (MBR) or GUID Partition Table (GPT) depending on the age, operating system, and your system firmware. Sometimes it is necessary to switch between MBR and GPT, but to do that you need to wipe your drive first. Using traditional tools like Windows Disk Management and the Command Prompt results in permanent data loss (unless you back up, of course!). But now there are two tools you can use to safely change your partition table without suffering any data loss. 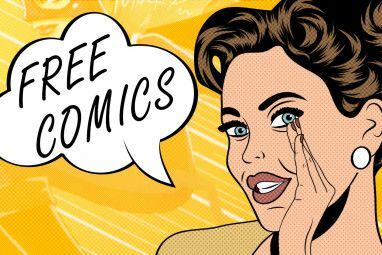 And the best part is how supremely easy it is (as well as completely free). 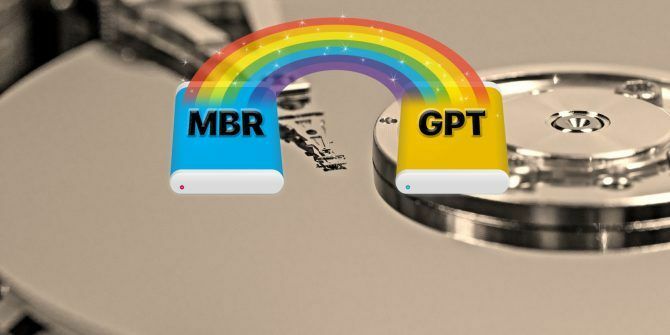 Let’s take a look at how you can convert your MBR disk to GPT—without losing a scrap of data. First up, consider the differences between MBR and GPT MBR vs. GPT: Which Should You Use for Your SSD? MBR vs. GPT: Which Should You Use for Your SSD? Wondering how MBR compares to GPT? We share the facts of the MBR vs. GPT discussion to find which is best for your SSD. Read More , and why some systems use one over the other. MBR is the older of the two and therefore is compatible with a wider range of systems. MBR was developed for IBM PCs and, as such, was the primary partition table choice for Windows machines stretching for quite some time. The Master Boot Record takes its name from its location at the beginning of the drive, containing the bootloader for the operating system and information about the drive partitions. MBR only works with drives up to 2TB in size. Furthermore, an MBR drive can only have four primary partitions. This was fine when a 2TB was a substantial outlay, but you can now pick up an 8TB drive, like a Seagate Barracuda, for an affordable price. GPT is the newer of the two. GPT is closely associated with UEFI, the firmware solution modernizing the old alternative, BIOS. GUID Partition Table assigns every partition on your drive a globally unique identifier (GUID) which is a 128-bit number that identifies only your hardware (a 128-bit integer has a maximum value of 1.7 x 10^39—a phenomenally large number). GPT drives suffer few of the limitations of an MBR drive. GPT drives can be vastly larger than their MBR counterparts (with the right settings, a theoretical 256TB drive would work). On a Windows system, GPT drives can have up to 128 different partitions without using an extended partition. Other systems allow even more. One addition major difference is in GPT drives store boot data. Unlike the MBR drive, the GPT drive stores multiple copies of the boot data across several partitions, making recovery much easier A Quick Tip for Repairing Boot Errors in Windows 10 A Quick Tip for Repairing Boot Errors in Windows 10 Having an MBR issue on your PC that's preventing it from booting? Here are the steps for fixing boot issues in Windows 10. Read More . Not all versions of Windows can boot from a GPT partitioned drive, with many requiring a UEFI-based system. Other operating systems also use GPT systems. For instance, Apple now uses GPT rather than its Apple Partition Table (APT). Furthermore, Linux has built-in support for GPT drives. As we have seen, GPT is the more modern partition table type Partition Tables: What Errors Mean and How to Avoid Them Partition Tables: What Errors Mean and How to Avoid Them If you're a computer tinkerer, you've probably met this dreaded message: "Invalid partition table." But why does this happen and how can you avoid it in the future? Read More , offering better recovery and more overall versatility. For a long time, converting from an MBR drive to a GPT drive meant wiping the drive as part of the conversion process. But now there are two tools you can use to safely convert your drive without any data loss. Note: There is no going back unless you wipe your drive. MBR to GPT is a one-way transformation. Please also remember there is a small chance your drive will cease to function after the conversion. 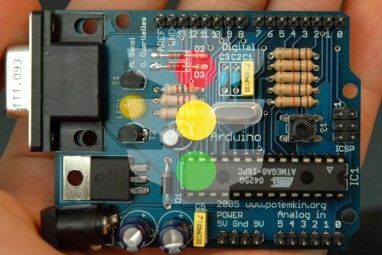 While this is an extremely small chance, MakeUseOf and I accept no responsibility for your hardware if you continue with this tutorial after this warning. In this, the validation step in the upcoming tutorial is very important. There is one final check to make before converting your disk. Does your hardware support have UEFI-support? 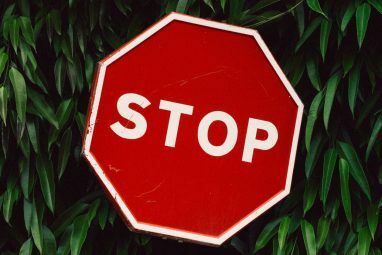 If not, your hardware won’t register the drive following conversion and, if converting a bootable drive, you will not have access to your operating system How to Solve Most Windows Boot Problems How to Solve Most Windows Boot Problems Is your Windows computer not booting up? It could be because of a hardware, software, or firmware error. Here's how to diagnose and fix these problems. Read More . Microsoft’s MBR2GPT tool is already on your system as part of the Windows 10 Creators Update. The tool primarily caters to sysadmins who have to deploy Windows 10 installations on a large number of computers. However, you can use it to switch your MBR drive to GPT with minimal hassle. Here’s how. First, check your disk number. Complete a Start menu search for Computer Management and select the best match. Select Disk Management and locate the disk you want to convert, noting the disk number. Right-click the disk number, select Properties and open the Volume Check the current partition type is MBR. Press Windows + X, then select Command Prompt (Admin) from the menu. If Command Prompt (Admin) is no longer an option, complete a Start menu search for Command Prompt, then right-click and select Run as Administrator. Type mbr2gpt /convert /disk:[enter your disk number here] /allowFullOS and press Enter to begin the conversion. The conversion is rapid, only taking a few seconds. You need to change your firmware to boot to UEFI mode. After your system restart, press your BIOS/UEFI entry key How to Enter the BIOS on Your Computer How to Enter the BIOS on Your Computer To get into the BIOS, you usually press a specific key at the right time. Here's how to enter the BIOS on Windows 10. Read More . Change the boot type to UEFI mode, as opposed to Legacy Mode or other equivalents. The second option for converting MBR to GPT is to use EaseUS Partition Master Professional. Honestly, this is the easier of the two conversion options, using a similar UI to the Windows Disk Management screen. However, EaseUS Partition Software has several additional options, not least of which is the Convert MBR to GPT tool. On the other hand, EaseUS Partition Master Professional will set you back $39.95, while the Windows integrated MBR2GPT tool is already part of your operating system. Open EaseUS Partition Master and wait for your drives to load. Locate the drive you want to convert. Select the disk, right-click, and select Convert MBR to GPT. Press the Apply button on the toolbar. Once you hit apply, your system will reboot. You’ll arrive at an EaseUS Partition Master operation screen that shows the conversion process taking place. You need to change your firmware to boot to UEFI mode. After your system restart, press your BIOS/UEFI entry key. Change the boot type to UEFI mode, as opposed to Legacy Mode or other equivalents. In my opinion, EaseUS Partition Master makes the process easier but is slightly slower than its free Microsoft counterpart. MBR to GPT Conversion Complete! You have now converted your old MBR drive into a GPT drive, granting additional control over how you use your drive. If your system fails to boot after conversion, remember to head to your BIOS/UEFI settings How to Check If Your PC Uses UEFI or BIOS Firmware How to Check If Your PC Uses UEFI or BIOS Firmware Sometimes when troubleshooting, you'll need to know whether your PC uses UEFI or BIOS. Here's how you can check with ease. Read More and make sure the UEFI boot option is turned on The Right Way to Access UEFI Settings on Windows The Right Way to Access UEFI Settings on Windows Need to access your UEFI in Windows 10? If you don't want to reboot and guess the right key at startup, here's a reliable way to do it instead. Read More . Explore more about: Disk Partition, Troubleshooting, UEFI, Windows 10. Can you use the Windows MBR2GPT tool in order to convert a drive that is currently being used for Windows without having to reinstall Windows or move data?